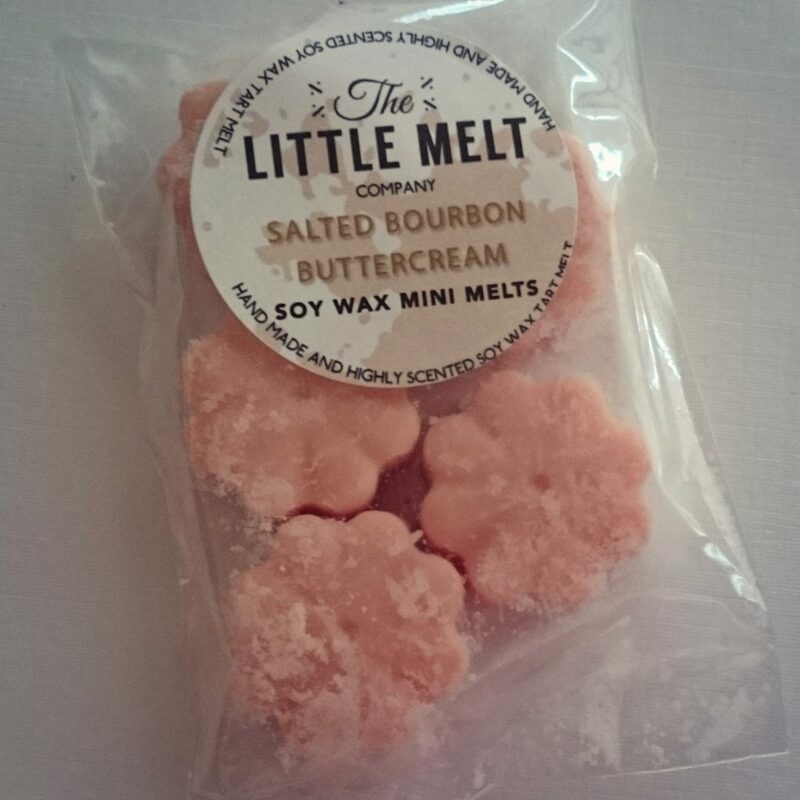 The Little Melt Company have a wide selection of handmade wax melts in various shapes and sizes and all lovingly made by the fabulous Joanne and Debbie. 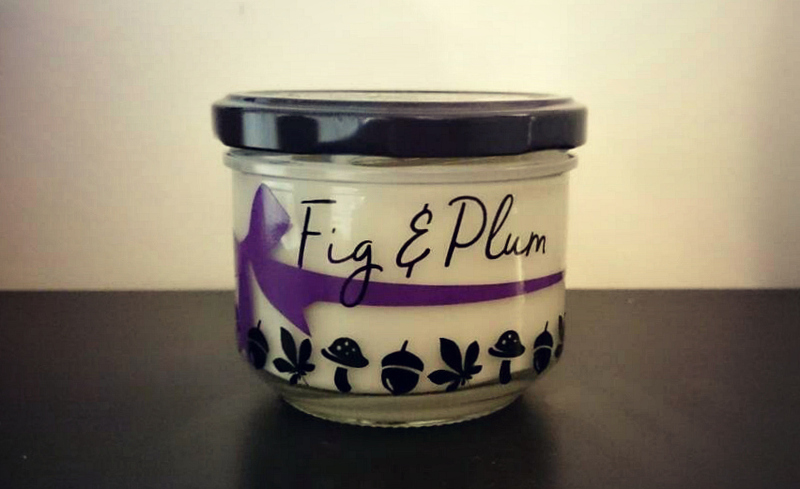 They use the highest quality soy wax and fragrance oils in their wax melts to produce strong long lasting fragrances. I tried some of their festive melts at Christmas, you can read that review HERE, and I also stocked up on some yummy scents during their January sale. One scent of theirs that I’ve been LOVING and want to stock up on is Salted Bourbon Buttercream, aren’t those three of the sexiest words ever?! 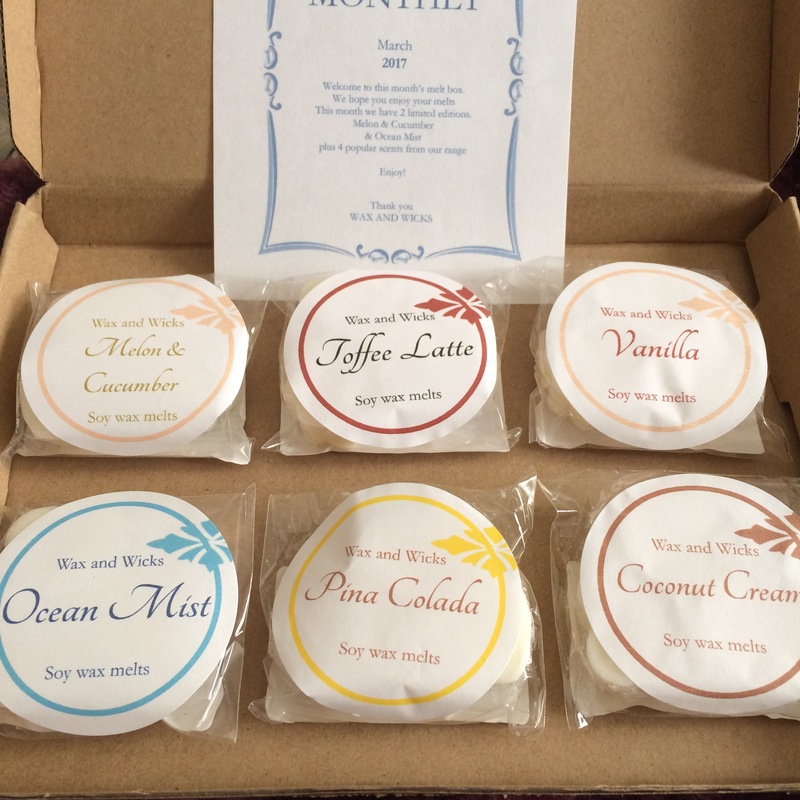 Wax and Wicks started their own subscription box earlier this month. 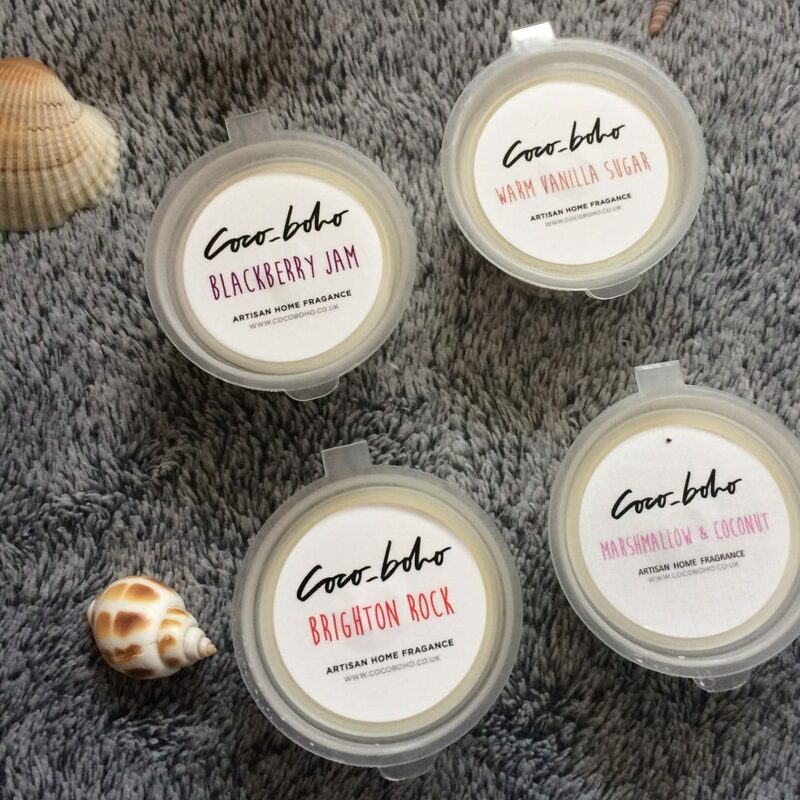 For £8 a month you get 6 scented soy wax packs, each pack contains 3 mini melts. They were kind enough to send me a box to review and obviously these are my honest opinions. We’ve written about Wax and Wicks before and you can read all those posts HERE.